Monterey has a minimalist easy going design for modern comfort. 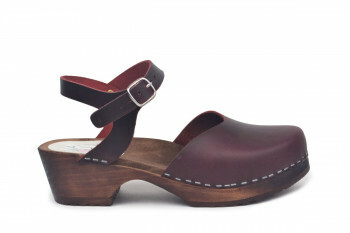 The clog sandal has a closed toe front and an adjustable ankle strap. The uppers are made in soft cognac leather and nailed onto our varnished comfy bottoms.